Dragalia Lost is Nintendo's Next Mobile Game | Nerd Much? Nintendo’s next game headed to mobile has been announced today. And it’s pretty safe to assume you didn’t see this one coming. The developer/publisher is partnering with Cygames to craft the original action RPG Dragalia Lost. Dragalia Lost is only headed to the east at this point, but should be ready for a western release later this year. Macau, Hong Kong, Taiwan and Japan can expect the new title soon. We know little about the title outside of today’s Japanese trailer. Players looking to jump into Dragalia Lost anyway can preregister to gain access in one of the territories above. Nintendo’s partnership with Cygames includes Nintendo acquiring a 5 percent share of the mobile game developer. That information was confirmed during Nintendo’s recent financial briefing. Cygames has a few successful mobile RPGs in their portfolio, including the Japanese hit Granblue Fantasy. 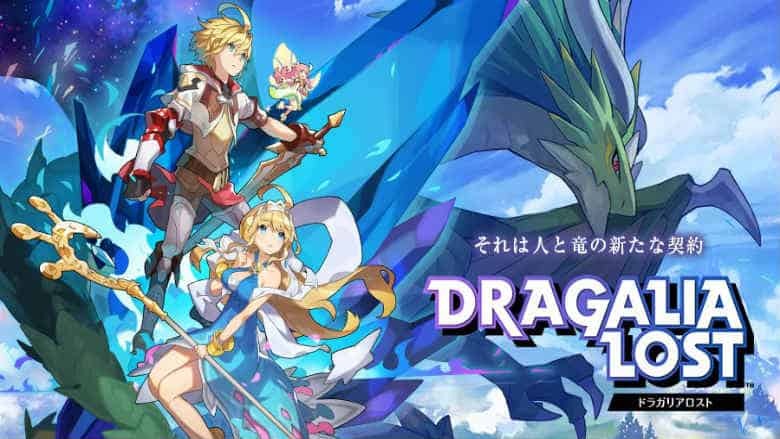 Dragalia Lost represents Nintendo’s fifth title developed for the mobile market. Miitomo kicked things off in 2016 and was followed that same year by Super Mario Run. Fire Emblem Heroes launched in 2017, as did Animal Crossing: Pocket Camp. Nintendo has also licensed/published five other properties for mobile. All of which fall under the Pokémon umbrella. Pokémon TCG Online entered the publisher into the mobile pool in 2011. Then came Pokémon Shuffle Mobile in 2015 and Pokémon Duel in 2016. 2016 also saw the launch of the Niantic Labs developed Pokémon Go. That game went on to be a global phenomena for a time, and is still doing quite well financially do this day. Pokémon: Magikarp Jump then followed that in 2017. Outside of Dragalia Lost, the only other title we know that is being developed internally by Nintendo is Mario Kart Tour for mobile. Nintendo states that Tour will be available within the fiscal 2018 year which ends in March. We’ve yet to see anything whatsoever on this mobile Mario Kart.